John George ‘Kootenai’ Brown at Red River, circa 1866. 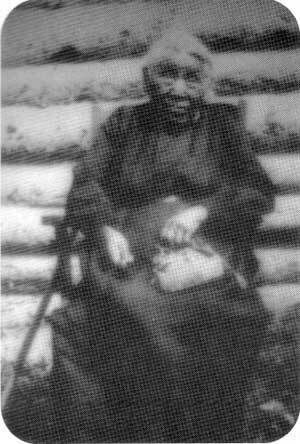 Brown’s second wife Isabella (Chee-pay-tha-qua-ka-soon), circa 1930. Money was to be made and lost in the Cariboo, and by 1864 Vowell decided he had had enough. He opted out of frontier life altogether, repairing to Victoria where he then entered upon a career in the provincial civil service. He eventually became the Gold Commissioner for the Kootenay’s and later Superintendent for Indian Affairs for British Columbia. Brown meanwhile, decided to take on public service of another sort, one more in keeping with his training: that of a police officer in the Wild Horse Creek mining area near what later became Fort Steele. By July of 1865 he had resigned from this position, undoubtedly to try his hand at the local mining prospects himself. The bloom was quickly off the rose in the Wild Horse however, and his eyes now turned eastwards. In 1865 Brown, in the company of others, left the mining country of the East Kootenays. Together they struck out for Edmonton where mineral strikes were currently rumoured. He and his party emerged through the South Kootenay Pass and it was here, at its eastern entrance, that he first saw the Waterton Lakes, to which he vowed he would eventually return to settle. From this spot, confusion seems to have taken over with respect to the joint plan to reach Edmonton. Brown favoured moving north along the Mountains, but the others favoured a more easterly route which in fact took them towards present-day Medicine Hat. The miscalculation nearly cost Brown his life, for following a skirmish with the Blackfoot he had to remove an arrow from his back. The mining venture was now forgotten, and it was everyman for himself. 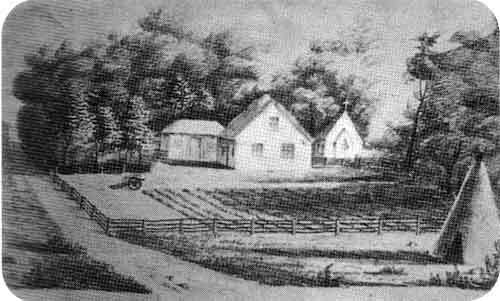 “I remember” he stated, “leaving Seven Persons Creek in the late summer of 1865. I had a notion that if I followed the river I would get to Fort Garry.”  Brown, alone now, headed northeast along the South Saskatchewan River eventually encountering members of a Cree band and the Métis of Duck Lake. He found about fifty families at Duck Lake and he accepted an invitation to winter among them. Brown already spoke French quite well but he now started to acquire the Cree language. Over the next year he became familiar with the customs and hunting ways of the Métis, and of the surrounding country between the Saskatchewan and Portage La Prairie. Some of the best passages in the Tait interviews concern his recollections of the mechanics of the bison hunt. I traded between Portage la Prairie and White Mud River, twenty miles west of Portage la Prairie, mostly with Chippewas and Crees who were in small scattered camps trapping rats, minks, foxes, coyotes and wolves. This was the summer and winter of ‘66 and ‘67. My trade was mostly in clothing and whiskey, but I had blankets, thread, beads, tea, sugar and a few odds and ends, but my big money was made in whiskey which I sold for $30 a gallon. 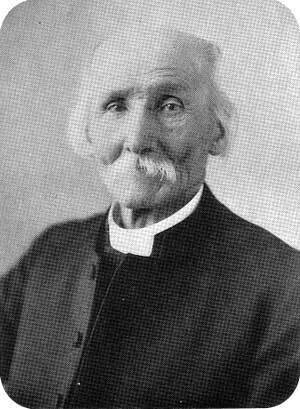 Reverend A. C. Garrioch, 1930s. His reference to “Bob Olone” (sic) at the time of these “whiskey troubles” is interesting, for in the famous portrait of Louis Riel and his Council of 1869-70, early descriptions of the photo identified Bob O’Lone as the man seated in the front row to Riel’s right. This version of the photo was incorporated into the works of many of the early Red River historians such as R. G. MacBeth. This figure was later correctly identified by G. F. G. Stanley as Hugh F. O’Lone, brother of Robert. Both men were in the whisky business, however: they were “The American brothers who ran a saloon in Winnipeg.”  This was apparently the Red Saloon, recalled by A. C. Garrioch: “Three years later when the writer moved to St. John’s he found the Red Saloon contributing very considerably to the business of the little village.” Bob O’Lone had continued in the liquor business and was the proprietor: “No spot in Winnipeg was so often the scene of a drunken row as that occupied by the Red Saloon.”  Garrioch’s recollection was accurate enough, for Bob O’Lone was killed in a bar-room brawl in his own establishment sometime during the Resistance period, probably later in 1870. It was his brother, Hugh F. O’Lone then, who represented Winnipeg in the Convention of November 1869 as part of Riel’s Provisional Government. 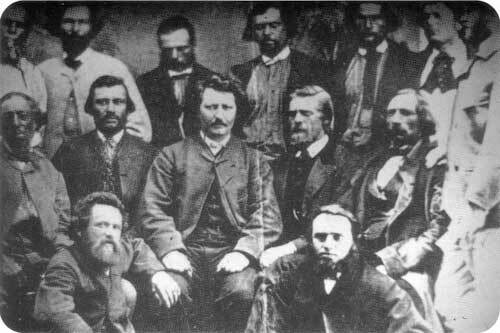 Louis Riel and his Provisional Government, 1869. Hugh O’Lone is seated (lower left). Source: Archives of Manitoba, Red River Disturbance 1, N5396. I sat for a tin-type photo at Fort Garry and was told that it was the first ever taken at the fort. The man with the camera was a Swede named Olsen from St. Paul and he had walked from one army post to another in Dakota. 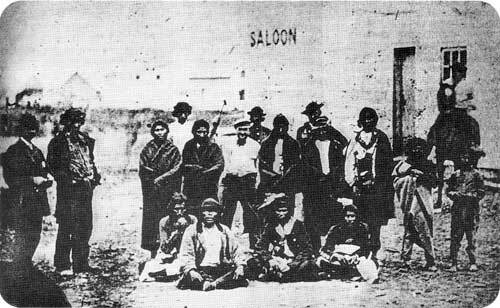 Customers in front of the Red Saloon owned by Bob O’Lone, Red River, 1869. 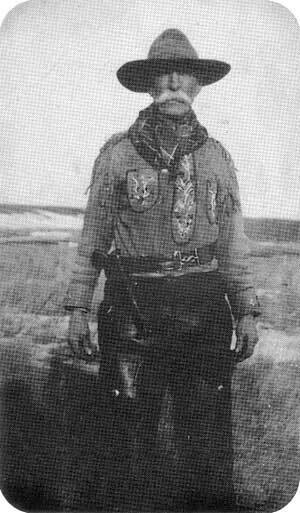 ‘Kootenai’ Brown in western garb, circa 1895. 1. Farm and Ranch Review, Vols. 15 and 16, (1919-20); William Rodney, Kootenai Brown: His Life and Times (Vancouver: Gray’s Publishing, 1969). 2. “William McD. Tait,” Glenbow-Alberta Archives. Kootenai Brown Clipping Files. 3. The 1991 production The Legend of Kootenay Brown, presents some striking film footage shot in the Montana and Alberta country, but not much history. Kootenai Productions Inc., B.C. Film and the National Film Board of Canada, 1991. 4. William Rodney, Kootenai Brown: His Life and Times, 1839-1916 (Vancouver: Gray’s Publishing, 1969), p. 94. 5. Calgary Herald, December 1, 1934, (Alberta - Glenbow Archives. Clipping Files). 6. On Brown’s early career in the military, see Rodney, ch. 2. 8. William McDougall Tait (ed. ), “I Remember” Typescript. a. 1919. Parks Canada. National Historic Sites Branch. Ottawa: 1970. p. 13. 11. A. C. Garrioch, The Correction Line (Winnipeg: Stovel, 1933), pp. 258-9; and Gwain Hamilton, In the Beginning (Winnipeg: n.d.) p. 339. 17. Cf. A. C. Garrioch, First Furrows, 3rd ed. (Winnipeg: 1923), pp. 168-9; and The Correction Line, pp. 272-4; and Cf. Rodney, pp. 69-72; and “I Remember,” p. 18 f.
20. R. G. MacBeth, The Making of the Canadian West (Toronto: William Briggs, 1898) p. 72 f.
21. G. F. G. Stanley, Louis Riel (Toronto: Ryerson, 1963), p. 146 f.
22. G. F. G. Stanley, ed. The Collected Writings of Louis Riel / Les Ecrits Complets De Louis Riel (Edmonton: University of Alberta Press, 1985.) Vol. 5. p. 318; W. L. Morton (ed. ), Alexander Begg’s Red River Journal and Other Papers Relative to the Red River Resistance of 1869-70 (Toronto: Champlain Society, 1956), p. 166 n.
23. Garrioch, Correction Line, p. 274. 24. G. F. G. Stanley, Louis Riel (Toronto: Ryerson, 1963), p. 161. 26. George F. Reynolds “The Man Who Created Portage and Main” Historical and Scientific Society of Manitoba Transactions. Ser. III. No. 26 (1969-70), p. 23. 28. Mae Atwood (ed. ), In Rupert’s Land: Memoirs of Walter Traill (Toronto: McClelland and Stewart, 1970), p. 44. 31. Ibid., p. 22 and Rodney, pp. 72-4. 32. Rodney, p. 77; and Cf. Lucile M. Kane (trans. and ed. ), Military Life in Dakota: The Journal of Philippe Regis de Trobriand. (Lincoln: University of Nebraska Press, 1982). 33. Rodney, pp. 7-8; Kane, pp. 48, 87 f.
36. Ibid., p. 96; Kane, p. 192 n.
39. Ibid., pp. 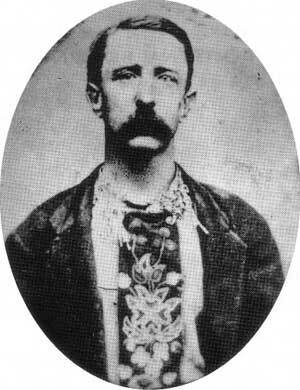 139-53; and Cord Tolton, “Rocky Mountain Rangers: Southern Alberta’s Cowboy Cavalry,” Canadian West, vol. 9, no. 1 (1993), pp. 30-35. 41. Jock Carpenter, Fifty Dollar Bride: Marie Rose Smith: A Chronicle of Metis Life in the 19th Century. (Hanna: Gorman and Gorman, 1988), ch. 7; Rodney, p. 213; Marie Rose Smith, “Eighty Years on the Plains,” Installment VII Canadian Cattleman, (Oct. 1949). 42. Calgary Herald, Dec. 1, 1934.